Household pests come in many forms. They range from the most destructive of construction materials in the form of termites to the most germ carrying in the form of rats, mice and cockroaches to the most scary and lethal in the form of spiders. Residential pest control services Chicago IL can alleviate the worry of most homeowners by eliminating all these creatures. Termites eat wood and anything that contains cellulose. They’ll also eat paper, plastic and drywall. Most only eat dry wood, but some will eat living trees, so its important to have your trees inspected also when you call for pest control. Before you can close on a house you intend to carry a mortgage on, your home will be required to pass a termite inspection. To keep your home in saleable condition, your pest control service will need to exercise regular termite prevention measures. Rats and mice will chew just about anything. It’s even been reported that mice have caused fires after chewing through electrical wires in a home. They will gnaw and burrow into upholstery and insulation. Anything you value should be wrapped in plastic when you store it in a basement or attic if you are plagued with these rodents. They love to make nests from paper, cloth and wood, so none of your clothing, furniture or books are safe from the teeth of a mouse or a rat. Primitive roaches first appeared 350 million years ago during the Carboniferous period. The roaches we know today, first appeared 200 million years ago. These creatures are scavengers that room your home at night. They’ll eat almost anything including glue, leather, hair, soap, paste, grease and book bindings. Because they feed on waste, they can easily spread disease as they move about the home. And because they can live in small spaces, locating them can be difficult. A professional pest control service is the best way to rid your home of roaches and regularly scheduled visits are the most effective way to keep an apartment or condo free of cockroaches. In North America, the most common poisonous spiders are the brown recluse, which is found throughout the south; the brown violin spider, which resides in Hawaii; widows, which can be found all over America; the hobo spider a native of the western U.S. from Washington to Wyoming down to Colorado and Utah; and finally the yellow sac and black-footed spider that are located throughout the country. The only spiders that are known to be lethal (especially to the young and elderly) are the brown recluse and the black widow. Antivenin can save the life of anyone bitten by the black widow. There is no antivenin for the venom of the brown recluse. The brown recluse can also cause tissue loss and necrosis. The remaining poisonous spiders can cause painful and severe redness and sometimes oozing ulcerations. So, it’s important to keep your home from being overrun by spiders, especially if you have young children in your household. 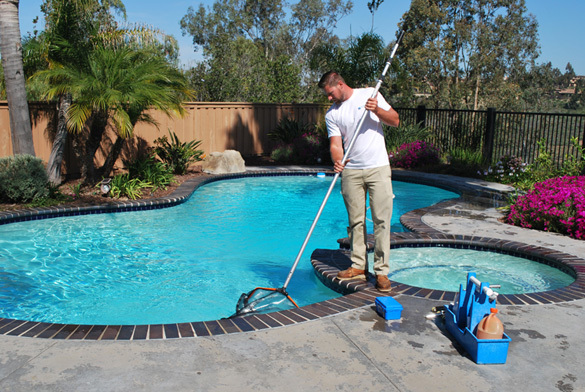 Pest control is once again your best solution. Controlling the pests that naturally seek shelter in any structure is the best solution to a safe, clean and germ-free home. It is easy to enlist the help of a pest control service and have them regularly spray or put out baits for the pests inhabiting your home. In no time, your home will be pest free. Storage units Mclean VA are available for people who need space for any reason. Many people utilize self-storage during a relocation, but there are many other occasions when using the units is a good idea. People use the units when operating their own home businesses, during estate sales, to tore musical instruments, and for so many other reasons. If you need space, there is really no wrong reason to rent a storage unit. Storage units are rented monthly, with payment due on the same day each month. The rental rate remains the same throughout the rental payment, although there are late fees if the monthly storage fees are not paid on time. The amount of the late fee varies. There is no term contract and you can remove your items from the unit any time that you wish. Additionally, you may retrieve items from the storage unit any time during the rental period. There are several storage unit sizes available for rent. With the various unit sizes available, it is easy to get the exact amount of storage you need to safely keep your belongings, whether it is a few items or the contents of a three-bedroom home. There are even storage options for RVs and cars available if needed. Storage units are protected by cameras and gated entry, so you can be sure that your items are safe, no matter what you’ve put inside. Renting a storage unit provides the comfort and protection that you need when you lack the space to store your items on your property. Costs to rent a storage unit vary. Many factors weigh on the costs of the rental, including the unit size, the company that is chosen, and the special offers and deal that you take advantage of. Rest assured the cost to rent a storage unit is reasonable and one that will not break the bank, even if you have a limited budget. Since the unit provides space for your valuable items, it is always a great deal. Where else would you store these things? When you take advantage of special offers, there are even greater savings that you can appreciate. It doesn’t matter who you are, renting a storage unit is easy. You will not undergo a credit check, so even when bad credit is in your past, it is unimportant. There are no deposits or minimum lengths of stay, either. Rent the unit for one month or for the next year or more. As long as you need space for your stuff, it is there for you. You are in control when placing your personal belongings inside of a storage unit and it certainly feels good. Storage units are there when you need space. It is easy-to-rent a unit and affordable, too. Many people take advantage of this special space and so should you. Why part with your belongings or endure hassles when it is time to find a safe place to keep these items when it is so easy to rent a storage unit? It can be extremely disheartening to notice problems with a home garage door system. 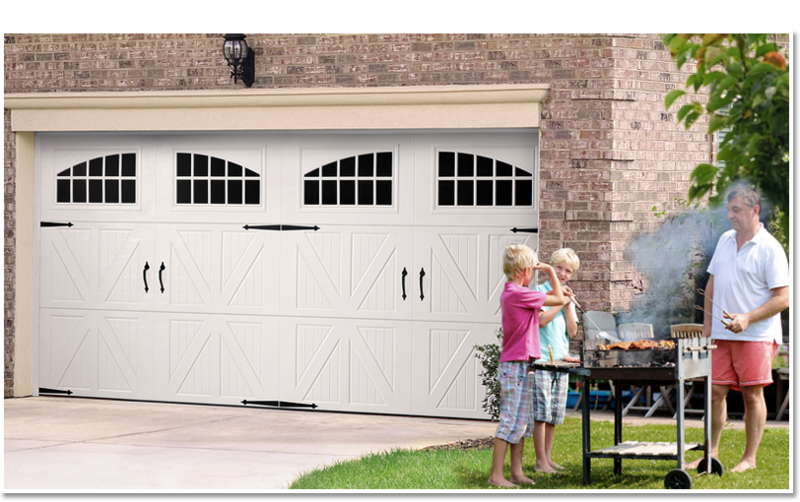 People often rely on their garage doors daily. They use them to keep their vehicles safe all night long. They employ them to keep all kinds of other necessities intact. If your garage door begins behaving in a way that’s just not typical, that can come as an unpleasant surprise. It can lead to an array of bothers that can make you feel like you’re going crazy for a while, too. If you’re trying to secure residential garage door repair phoenix az residents can applaud, you have no reason to frown. There are companies around you that can get your system back in tiptop shape rapidly. It’s critical to never get too ambitious about your garage door system. Don’t assume that you can fix it without getting professional assistance. There are certain garage door components that are pretty complex to manage. If you make any kind of mistake that involves the springs or cables, that could bring on major dangers. If you make a point to work with seasoned and trained technicians, you don’t have to think about injuring yourself or others. Garage door systems can be extremely delicate and intricate. If you make one seemingly small error, that could change everything and make things rather bewildering. Professional garage door repair work can keep you from wasting time. It can help you feel a lot more relaxed, too. If you repair an issue with your garage door system alone, you may always have a nagging feeling in the back of your mind that you did something wrong. It can be hard to feel completely confident in your work if you’re not a qualified professional. Remember, too, that you could also make your garage door system’s situation worse. If you do, you could have to pay even more money on repair service at the end of the day. 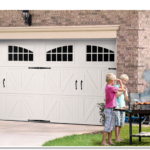 When Is it Time for Professional Home Garage Door Repair? There are a plenitude of clues that can help people who want to determine whether their garage door systems are broken. If your garage door isn’t working, it may be the simplest thing to figure out in the world. It may just cease to open or shut. It may totally dismiss any and all of your remote’s commands. Zero in on the way your door opens if it does. If it moves in an overly quick or frenzied manner, you probably have some kind of issue. Other typical clues are immoderate noise levels, slow responses, partial opening and balance issues. Don’t let any of these things make you feel down. If you find a reputable company that offers garage door repair work, you should be able to manage everything. If your system is old, however, replacement may be prudent. A professional can help you explore your avenues.